Bhupesh Baghel takes oath as the chief minister of Chhattisgarh. Congress leader Kamal Nath was sworn in as the 18th chief minister of Madhya Pradesh here on December 17. Governor Anandiben Patel administered the oath of office to Nath, 72. My best wishes to @OfficeOfKNath #KamalNath'ji for taking charge as the next Chief Minister of Madhya Pradesh. My congratulations to @JM_Scindia 'ji too for his rigorous work, leadership and exemplary gracefulness. Next up: Chhattisgarh Pradesh Congress Committee (CPCC) President Bhupesh Baghel will be sworn in as the Chief Minister of the state at 4.00 pm today. Meanwhile, the venue for Chief Minister-designate Bhupesh Baghel’s swearing in ceremony has been changed from Science College Ground to Balbir Singh Juneja Indoor Stadium in Raipur due to rain, according to reports. Kamal Nath has been sworn in as the Chief Minister of Madhya Pradesh. Madhya Pradesh Governor Anandiben Patel has arrived for the ceremony. Rajasthan Chief Minister Ashok Gehlot and Deputy Chief Minister Sachin Pilot have accompanied Congress President Rahul Gandhi for Kamal Nath's swearing-in ceremony to Bhopal. 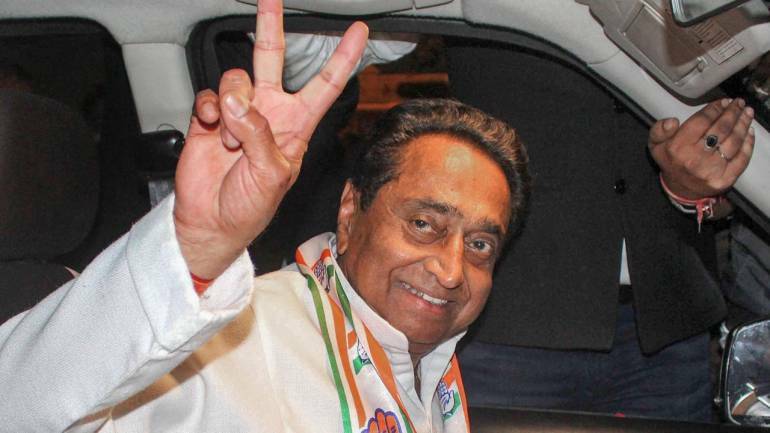 MPCC President Kamal Nath is set to be sworn in as the Madhya Pradesh Chief Minister shortly. Next up: Madhya Pradesh Congress Committee (MPCC) President Kamal Nath will be sworn in at 1.00 pm in Bhopal. Chhattisgarh Pradesh Congress Committee (CPCC) President Bhupesh Baghel will take oath of office at 4.00 pm in Raipur. Sachin Pilot has been sworn in as the Deputy Chief Minister of Rajasthan. Ashok Gehlot has been sworn in as the Chief Minister of Rajasthan. 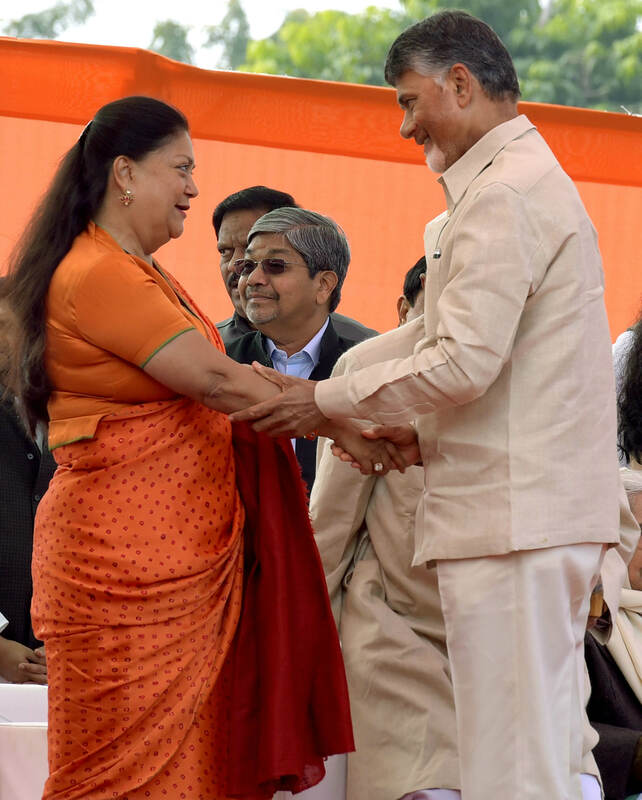 Ashok Gehlot and Sachin Pilot's swearing-in is expected to happen shortly. Congress President Rahul Gandhi and former prime minister Manmohan Singh have arrived in Jaipur for the swearing-in ceremony. Senior Aam Aadmi Party leader Sanjay Singh is also expected to attend Gehlot’s swearing-in ceremony in Jaipur. In what was seen as a major positive development for the opposition, AAP National Convener and Delhi Chief Minister Arvind Kejriwal had attended the opposition meeting in the capital on December 10. Singh’s attendance comes at a time when AAP and Congress are trying to set aside differences and push for a united opposition to take on the Bharatiya Janata Party (BJP) in Delhi. # West Bengal Chief Minister and Trinamool Congress chief Mamata Banerjee. Senior party leader Dinesh Trivedi will represent the party. # BSP supremo Mayawati and SP’s Akhilesh Yadav.